No. This is not the start of a joke. But it is funny. I walked outside the other day to see how my son was doing painting the exterior of our house. Timmy was making great progress. 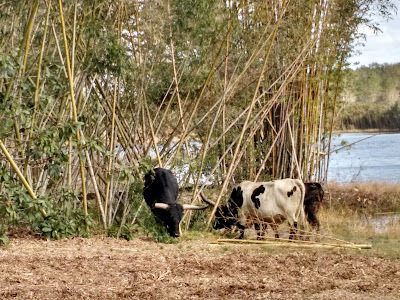 So were a group of cattle grazing a few feet away in a nearby grove of bamboo. 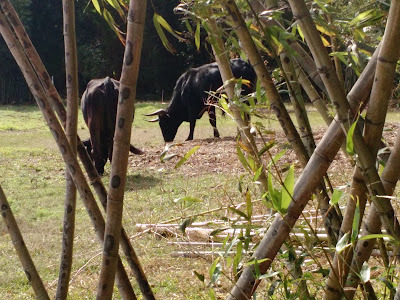 The cattle belong to my neighbor, who grazes them in a large field abutting the east side of our property. The pasture is surrounded by a field fence topped with two strips of barbed wire. 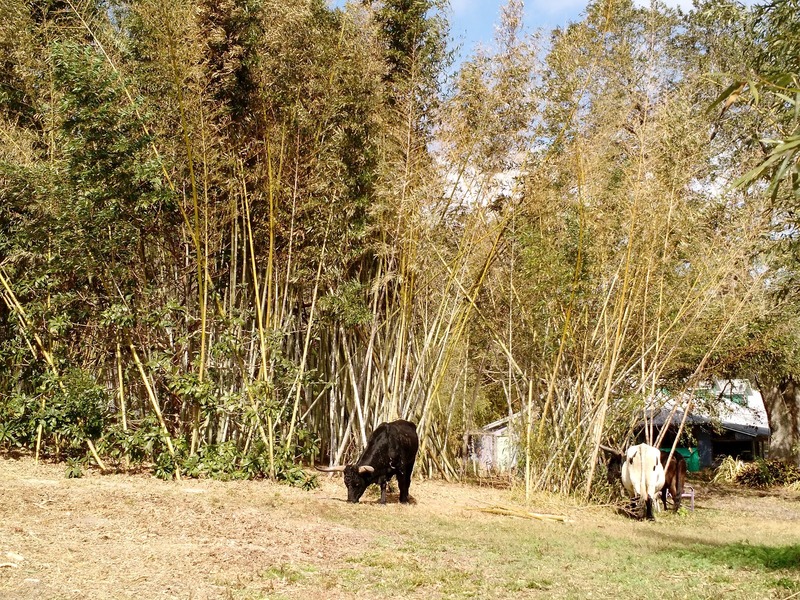 On the portion of fence that backs up to our acreage, a long line of mature clumping bamboo provides an extra layer of separation between our two properties. You might think that such a three-layer approach - field fence, barbed wire, bamboo - would be enough to keep cattle contained. You'd be wrong. Apparently, the same idiom that applies to people lusting over the color of their neighbor's lawns - the grass is always greener on the other side of the fence - applies to bovines too. On my neighbor's side of the fence, the pasture has been grazed down to brown stubble with nary a spot of green in sight. By contrast, our side of the fence boasts a proverbial banquet of fresh, young sprouts. Despite the recent cold snap, our livestock-free land has sprouted a profusion of edibles. 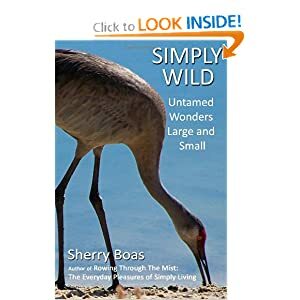 From new bamboo shoots (cattle candy) to low-growing weeds like wild geranium (geranium carolinianum), there's a bountiful supply of tender young greens to tempt the taste-buds of just about any hungry ruminant. And temptation is undoubtedly what led my neighbor's four-legged beasts into our yard. Somehow the not-so-dumb animals found a hole in the fence and invited themselves to lunch. Doing so wasn't unusual - they've found their way onto our property many times over the years - but this time, they chose to chow down of a spot of greenery right next to our house. It didn't matter that our son was only a few feet away or that I stood even closer snapping off one photo after another. Food was what was on their mind. Never mind the people. 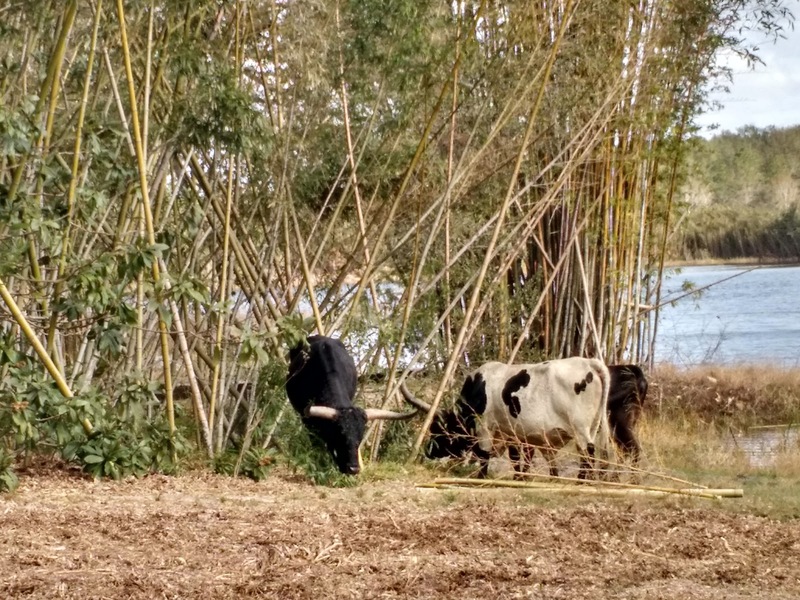 I don't have a problem with the cattle being here. I actually like it. When my neighbor called later to ask if he could come by to round them up I told him, no hurry. "The animals are helping me out," I said. 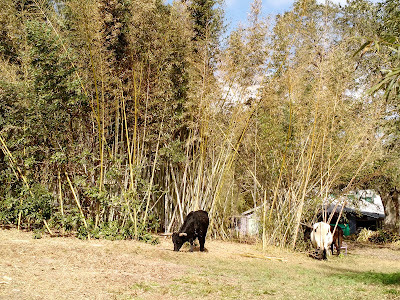 They're keeping the bamboos trimmed, mowing down the weeds, fertilizing the ground and fun to look at to boot. 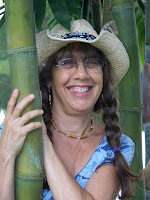 You don't have to mend the fence if you don't want to." Robert Frost tells us, "Good fences make good neighbors." 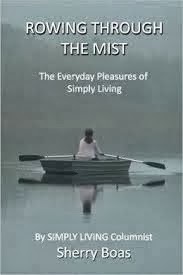 But a bit of permeability can be a good thing too. 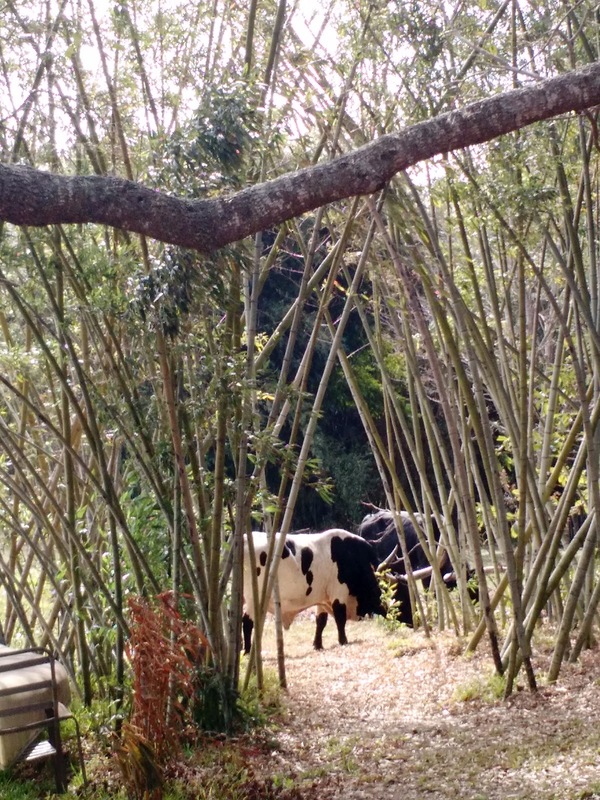 It may not be a joke when a bull, cow and calf walk into a bamboo grove but finding them there sure was funny.